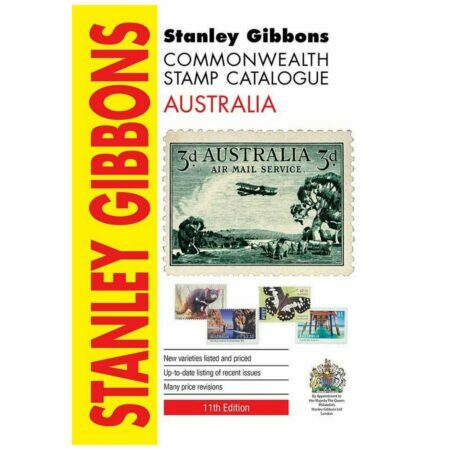 This catalogue provides a comprehensive priced listing of the stamps of Australia, the Australian States, Australian Antarctic Territory, Christmas Island, Cocos (Keeling) Islands and Norfolk Island, as well as the pre-independence issues of Nauru and Papua New Guinea. Listings up to 1970 are extracted from the 2019 Commonwealth and British Empire Stamps catalogue. Published December 2018. 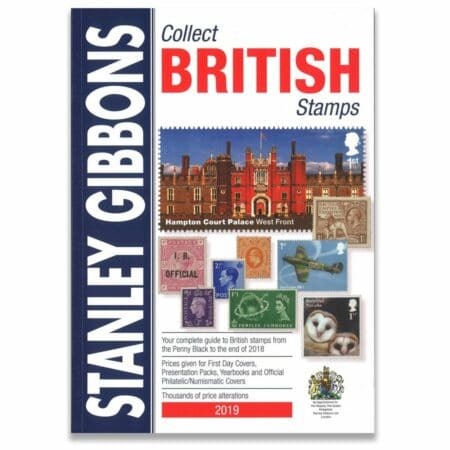 This all colour catalogue provides a straightforward, simplified listing of every British stamp from the Penny Black to the end of 2018, with all commemorative designs illustrated for ease of use. With fully updated listing of the popular Post & Go stamps and a fully priced list of Royal Mail Philatelic, Numismatic and Medallic covers. 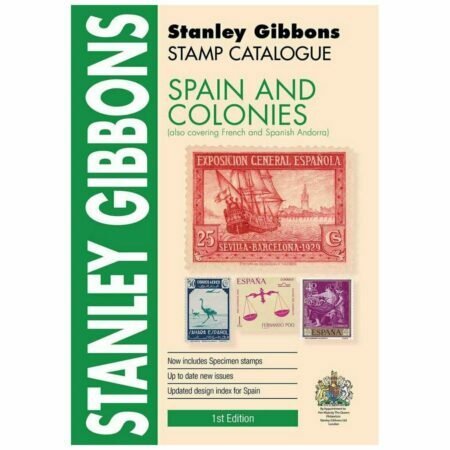 The Stanley Gibbons Spain & Colonies Catalogue is the only catalogue published in English which covers all the stamp issues of Spain in a single volume. 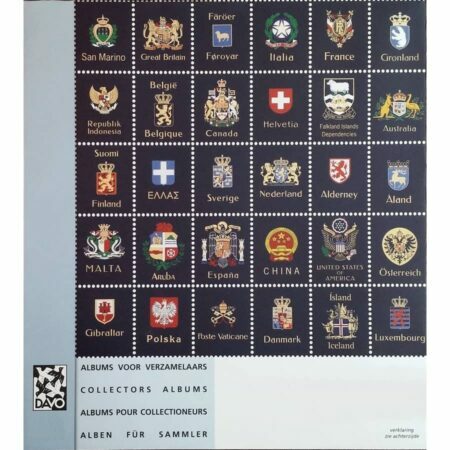 It is a detailed and highly informative catalogue, ideal for any collector who specialises in the stamps of this area. This world-leading simplified catalogue provides the perfect reference material for dealers and collectors alike. 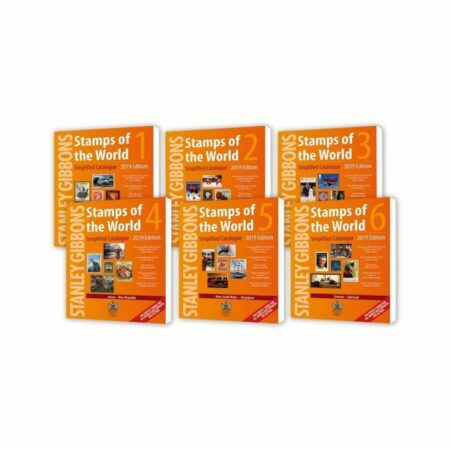 It is easy to use with illustrated descriptions of all the world’s stamps with an accurate assessment of their current market values. This edition includes over 2,500 newly listed stamps. 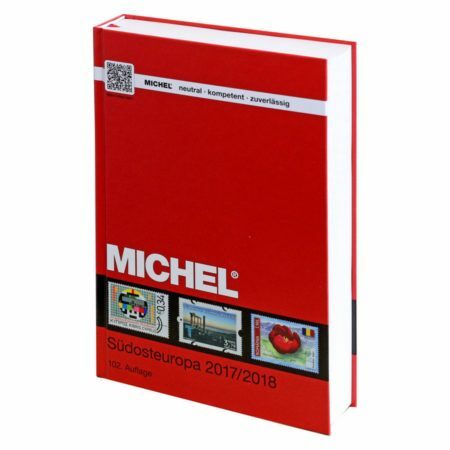 The 102nd edition of the Michel catalog Südosteuropa 2017/2018 (EK4) covers in detail the stamps of Aegean Islands, Bulgaria, Crete, Cyprus, Eastern Rumelia, Epirus, Greece, Icaria, Autonomous Monastic State of the Holy Mountain, Ionian Islands, Romania, Samos, Thrace, Turkey, Turkish Cyprus. This edition contains approx. 1'280 pages, 18'200 illustrations and over 71'000 quotations. 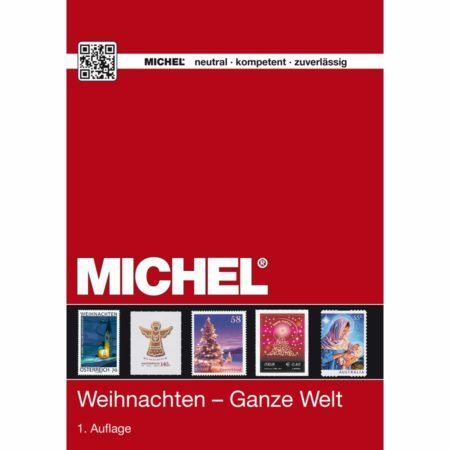 The 1st edition of the stamp catalog "Weihnachten - Ganze Welt" from the stamp catalogue publisher Michel is the must-have catalogue for Christmas lovers. This full color catalog compiles approx. 11'000 stamps issued on the Christmas theme on more than 300 collecting areas. 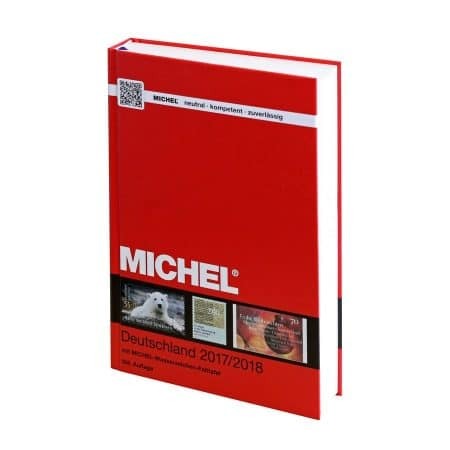 The 104th edition of Michel's best seller catalog covers in detail the stamps Germany and all German collecting areas from the beginning in 1849 to mid 2017. This edition contains approx. 1'152 pages, 11'000 colored pictures, 62'300 price quotations. 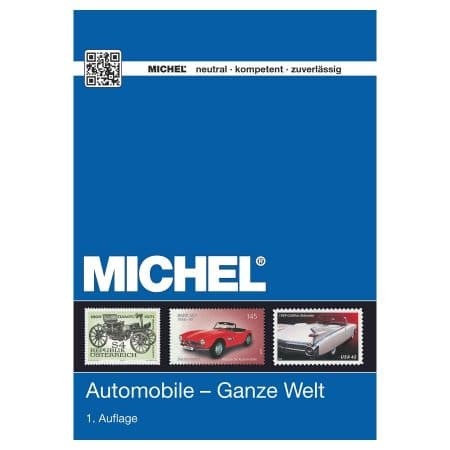 The 1st edition of the Michel catalog Automobile - Ganze Welt 2015 is the must-have catalog for the lovers of Car and Automotive engines. This full color catalog compiles approx. 4'100 stamps issued on the Automobile theme in color and more than 27'000 price quotations. 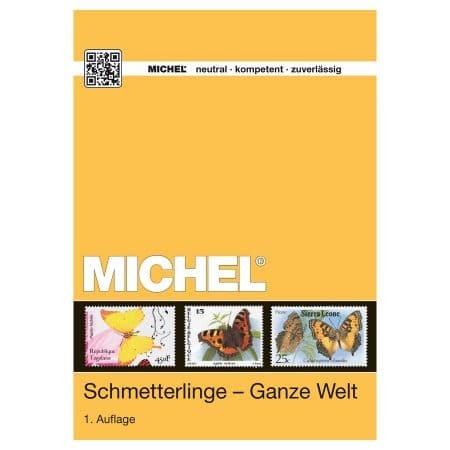 The 1st edition of the Michel Catalog Schmetterlinge - Ganze Welt 2015 is the must-have catalog for the lovers of butterflies on stamps. This full color catalog of 360 pages compiles approx. 4'000 stamps issued on the butterfly theme in color and more than 25'000 price quotations. 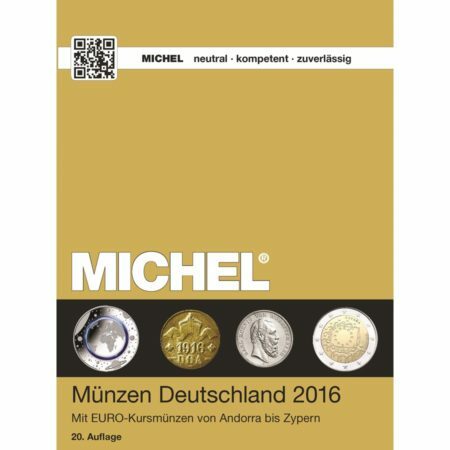 The Michel Catalog Münzen Deutschland 2016 details the German coins since 1871 and 2 Euro coins from Andorra, Belgium, Estonia, Finland, France, Greece, Ireland, Italy, Latvia, Luxembourg, Malta, Monaco, Netherlands, Austria, Portugal, San Marino, Slovakia, Slovenia, Spain, Vatican, Cyprus.